A man believed to be America’s oldest veteran [celebrated] his 110th birthday on Wednesday. 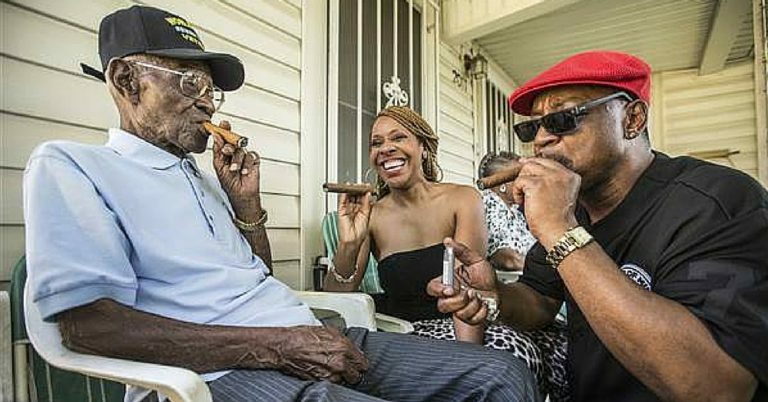 His tips for longevity are far from traditional: He chain-smokes cigars, insists on a splash of whiskey in his morning coffee, and enjoys a steady diet of fried catfish and butter pecan ice cream, he told TODAY two years ago. Overton joined his all-black military unit in 1942, when Franklin Delano Roosevelt was president, and became a skilled sharpshooter. In the years since the war, he’s outlived two wives and has been the recipient of numerous honors — including meeting President Obama, who he had breakfast with at the White House when he turned 107.